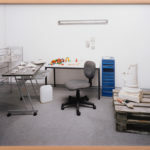 In the closing part of his project »Gefüge – Hoeffner, Huebner, Boss revisited« Jonas Wilisch tried to take the anti-economic paradox of his artistic work to the extremes: He decided to ›return‹ the first edition of each photograph to the place on the streets where its objects originally have been found. 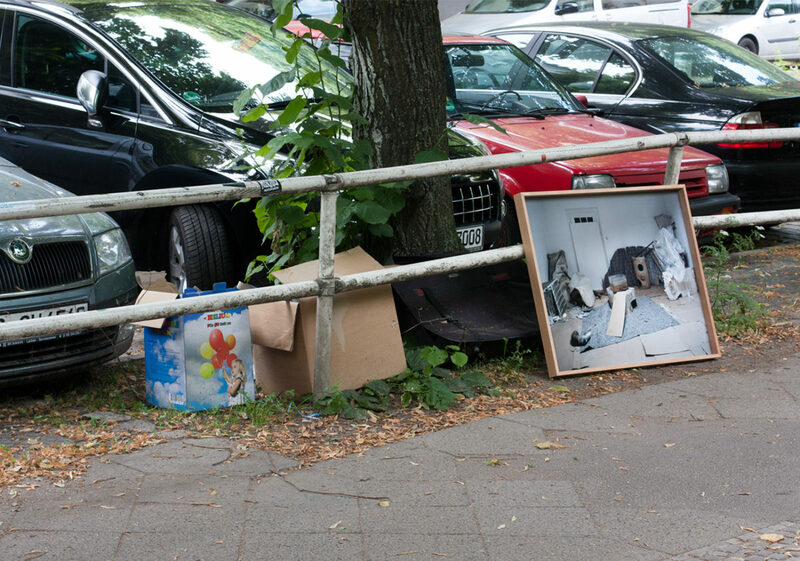 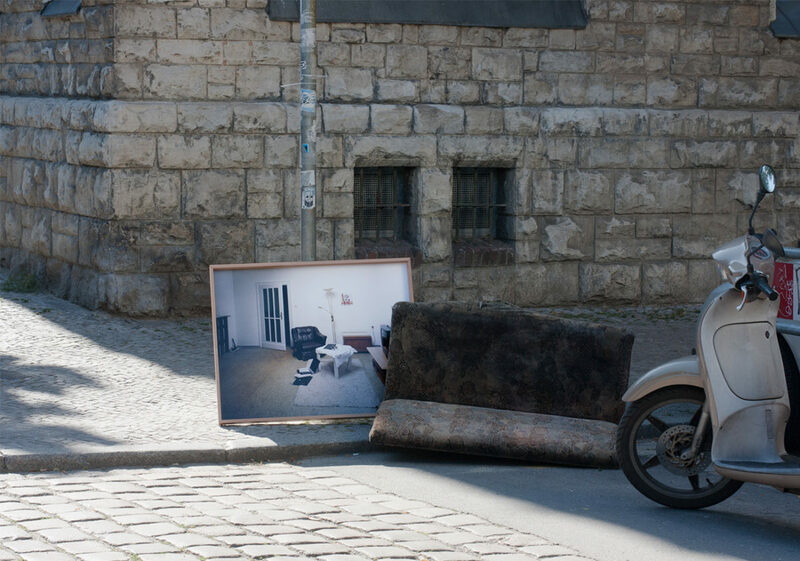 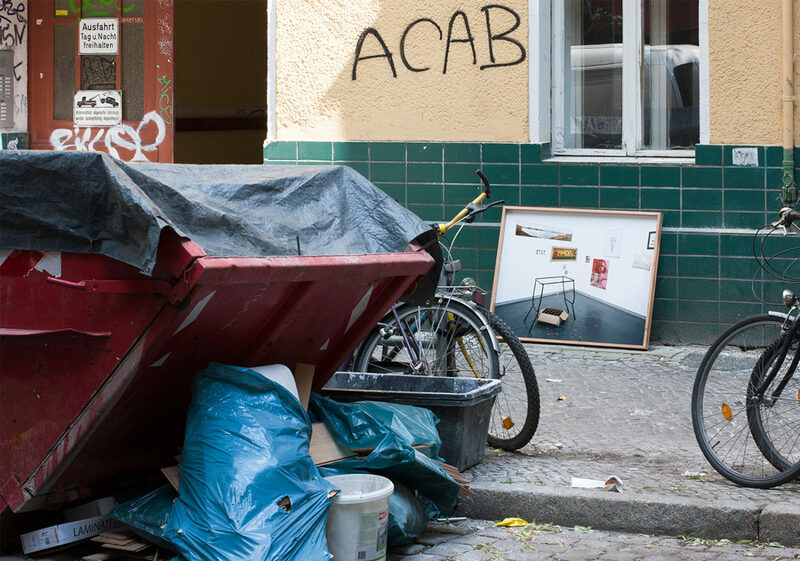 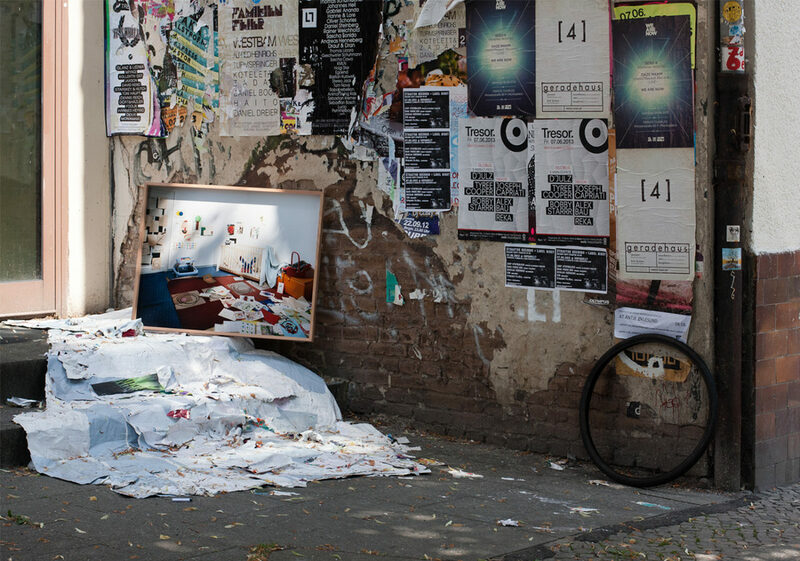 There, in the chaotic surrounding of other rubbish and in the context of usual city-life, the framed and signed artworks were left over for the unknown collector. 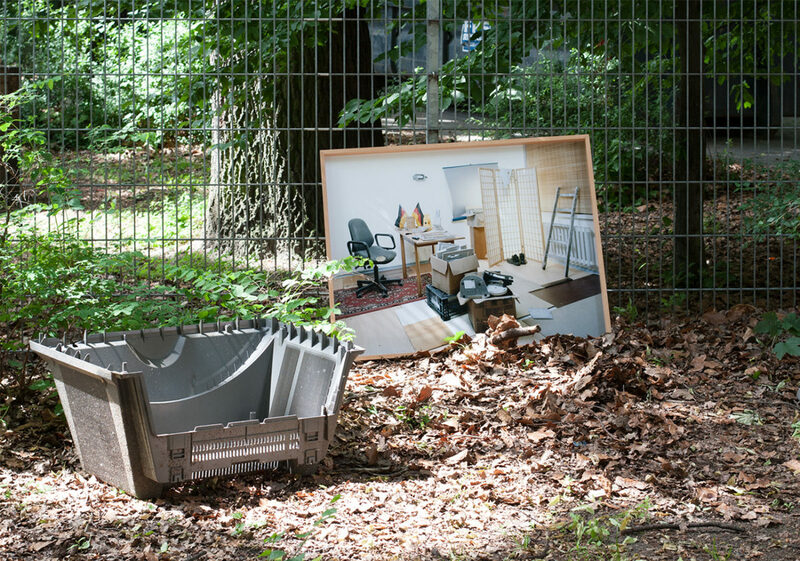 The accidental trespasser became the art scout that had to make the decision whether the piece was worth to pick up or dismissed as waste. 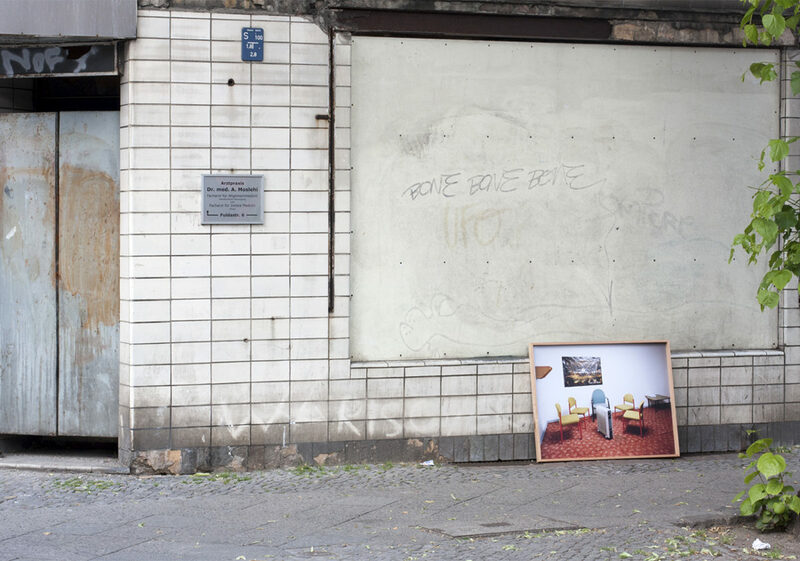 Observing the scene from a certain distance,he has been logging every single perceptive situation that has happened in relation to the artworks in the urban context. 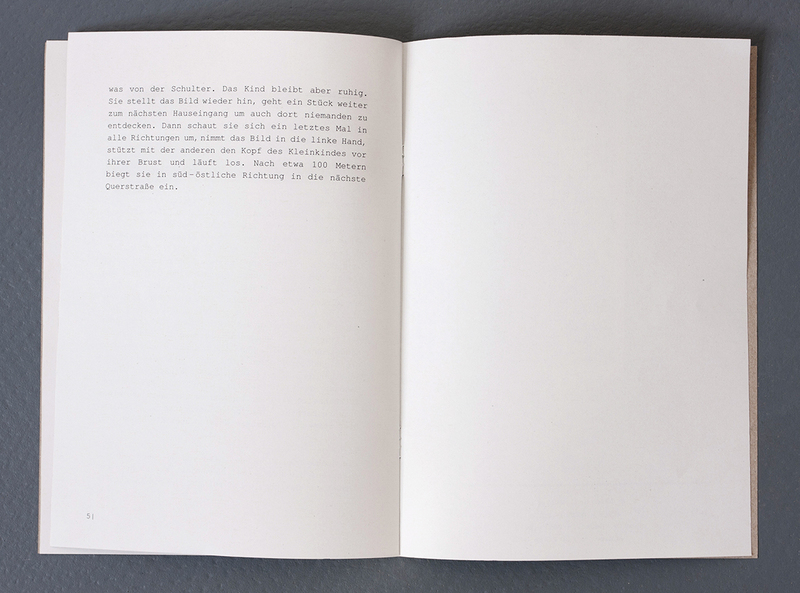 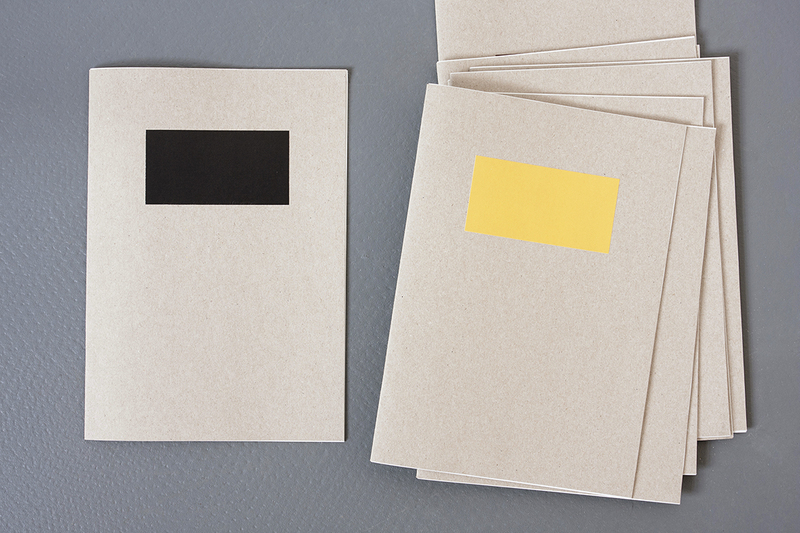 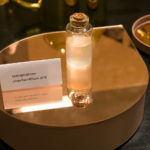 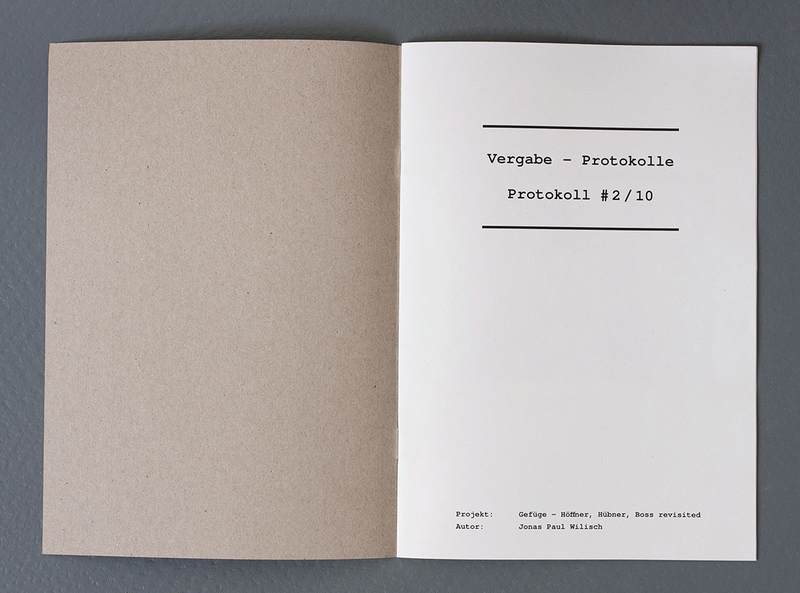 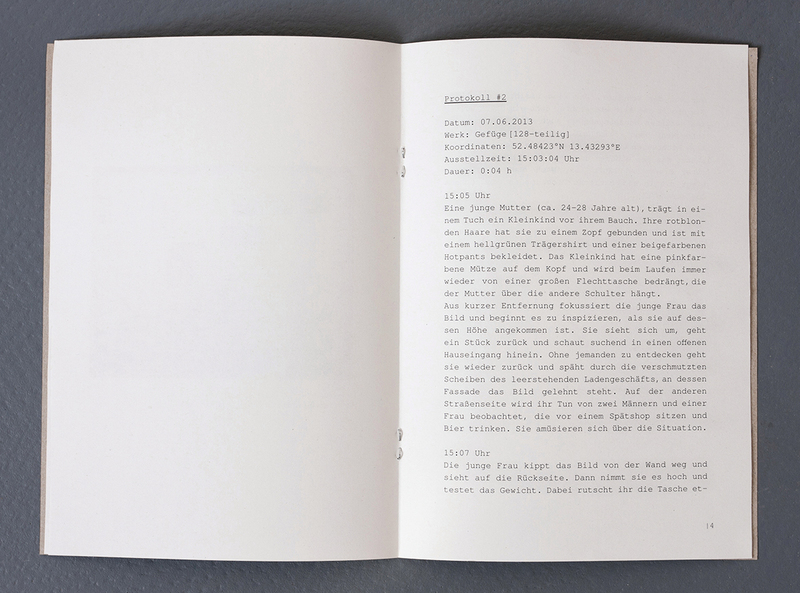 These journals, called »Vergabe-Protokolle«, give detailed information about each artworks‘ collection-story and still keep enough openness for the reader´s imagination about the scenes and protagonists emerged by the intervention. 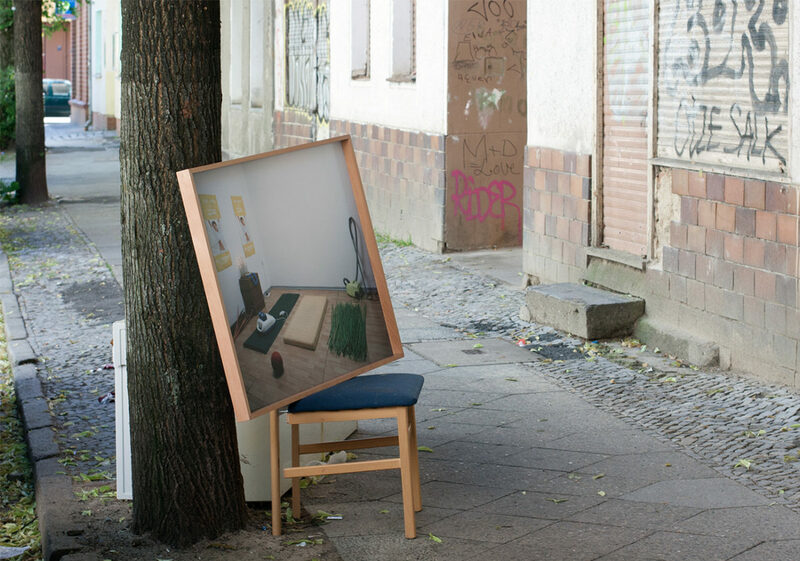 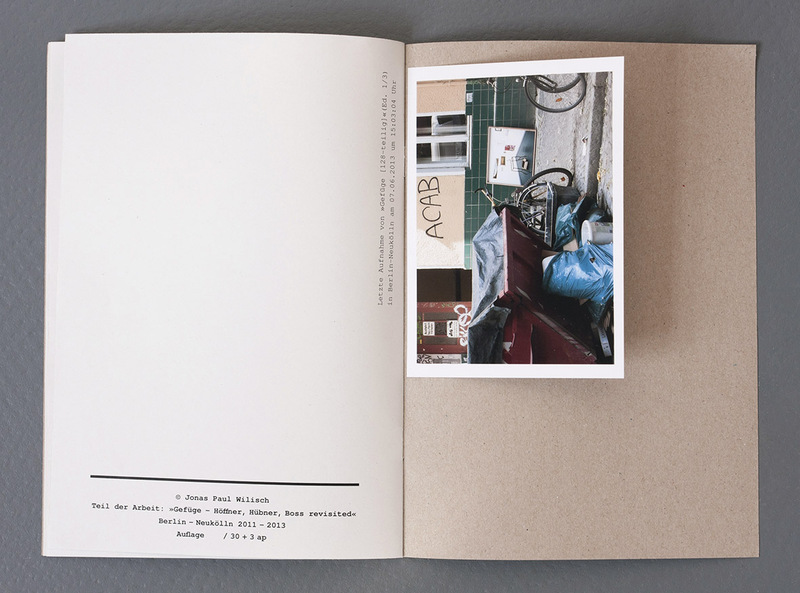 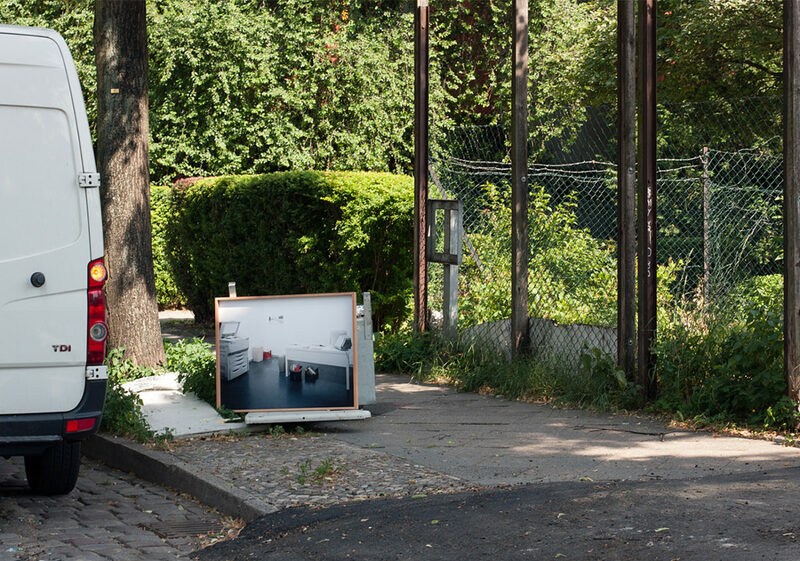 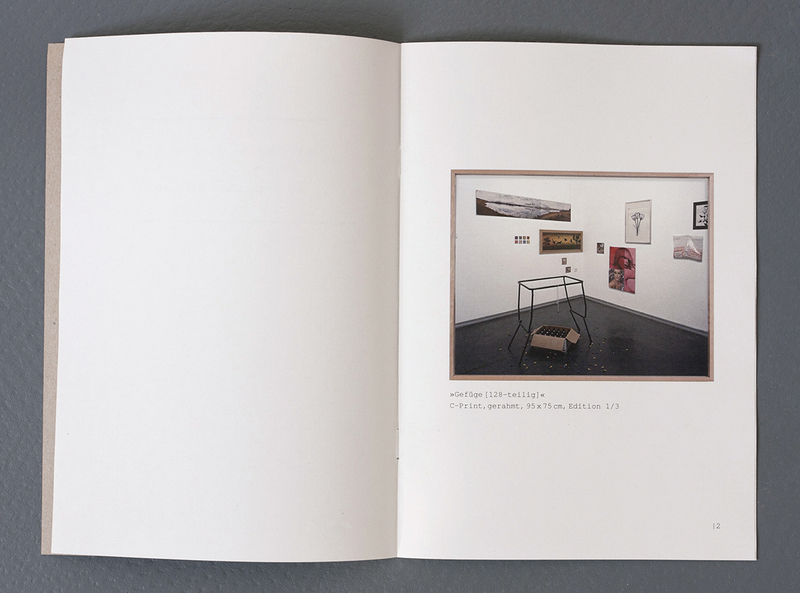 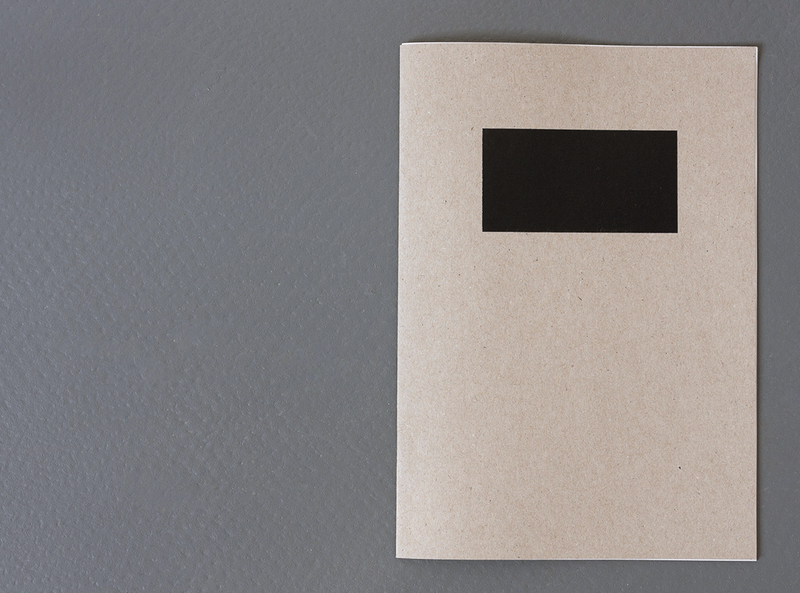 Each booklet of the »Awarding-Protocols« is supplied with a C-Print showing a last shot of the artwork in urban space.